Donna Wesley Spencer is an Evanston photographer, founding member of Perspective Gallery, and the latest artist to be featured in our ongoing exhibition series Local Art @ EPL. 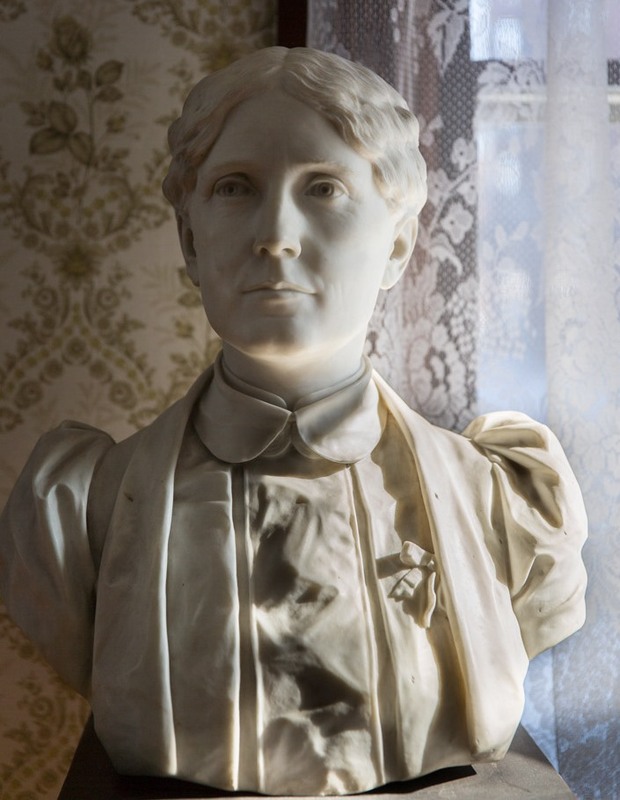 Her exhibit Inside the Frances Willard House is currently on display on the 2nd floor of EPL’s Main Library where you can catch it through July 30th. Featuring sixteen gorgeous interior shots of Willard’s home at 1730 Chicago Avenue, the exhibit celebrates one of Evanston’s greatest historical treasures and serves as a visual appetizer for the grand reopening of the Francis Willard House Museum in September 2016. You can learn more about Spencer’s work by visiting her website, and we recently spoke with her via email about her artistic origins, falling in love with the Willard House, and what’s new at Perspective Gallery. Evanston Public Library: Can you tell us a little about your background as an artist? Was there something specific in your life that sparked a need to create? What drove you in the beginning, and what drives you now? 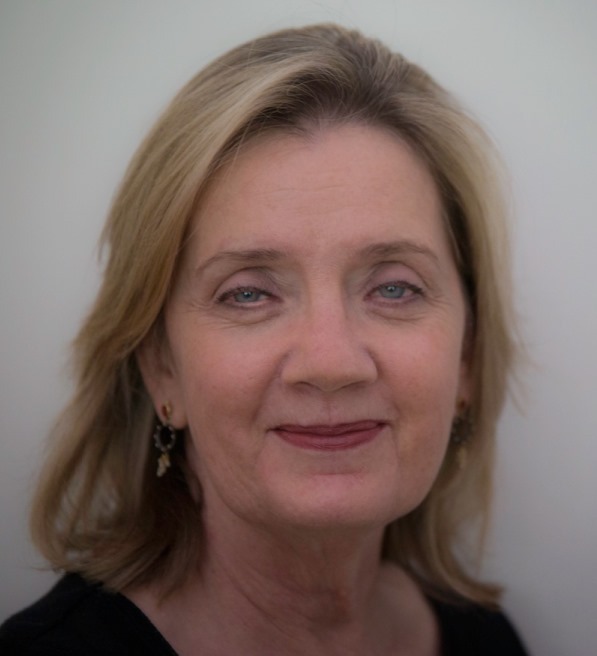 Donna Wesley Spencer: I have a Master’s degree in English but also studied Art History, and although I have done drawing and painting from time to time in my life, I think of literature, history and art history as foundational to my photography. All of the arts are related, and I love the fact that photography can speak of any of them. As for what drives me, I suppose the need to create is an innate quality since I can’t remember not drawing and wanting to study art. And I am also really curious, which drives the projects I am working on now. EPL: How do you describe your art? Do you see yourself as fitting in with any particular artistic movements or styles? Do you work in any other mediums in addition to photography? DWS: I do not work in mediums other than photography, which is a medium that challenges me, offers endless possibilities, and forces me to keep learning. All of my projects have related to history in some way – personal or cultural. I almost always work in color. Perhaps others would see a movement or style, but I’m not thinking that way. DWS: For almost 10 years, I have been working on a project that I simply think of as “Books.” As we have moved into the digital world, I have thought about the changing nature of books and places that are about books, so I have photographed independent book stores (many of which have now disappeared), old libraries, and books. During a tour of the Willard House, I noticed a particular book shelf – the books were a fascinating glimpse into history, the books were worn from time and use, and the light in the room was beautiful. After conversations and agreements, I was given permission to photograph that bookshelf, and I also took a few photos of the room as the light was so good that day. I shared those photos with the Director of the museum and that began a conversation about the history of the house and the books. I wanted to learn all about the house and its history, and because the place had remained so untouched by change, it really was like photographing another time. I am grateful to have had the privilege of spending quiet time in the house to make these photographs. EPL: Do you have other future projects in the works? What’s new at Perspective Gallery? DWS: I am still working on my “Books” project, and I have another long-term project about the South, where I spent my childhood. Part of the project is called “Homestead” and I will be showing that work at Perspective Gallery two months from now in September 2016. I am a founding member of Perspective Gallery, which is a non-profit photography gallery run by its members. In addition to showing our work, we have a quarterly Speaker Series on photography, an international juried show, a Chicago Invitational show, and our very popular High School photography show. Currently showing for July is our juried exhibition of photographs all by Evanston photographers. EPL: Finally, what do you hope people take away from your exhibit? DWS: During the three years that I have been visiting the Willard house and making these photographs, I have discovered that many Evanston residents do not know about this historically significant treasure. I hope that the photographs are interesting enough to make library visitors stop for a look, and then I hope that they will also be curious about the place and its history, and will visit when the restoration is complete and support the future of the museum. Posted in Interviews, Local Art @ EPL, Off the ShelfTagged Donna Wesley Spencer, evanston art, Frances E. Willard, interview, local art @ epl, local artists, photography, Russell J.